All Chesapeake Network members are responsible for reading and understanding these protocols as a condition of their membership. Violation of these protocols may result in corrective action, up to and including suspension and/or expulsion from Chesapeake Network. Determination of compliance with these protocols is entirely at the discretion of the Chesapeake Network Administrator. The Chesapeake Network may change this agreement at any time. Those changes will be effective immediately upon posting of the modification(s) on the site. Members will agree to review this agreement from time-to-time to make sure that they are aware of any changes. 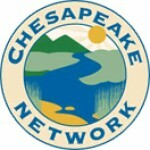 Continued use of www.chesapeakenetwork.org indicates acceptance of the modified agreement. professionals, volunteers and citizens interested in restoring the Chesapeake Bay. In an effort to cut down on spam and/or sales pitches on the Network, we may request additional information from people asking to join especially when using an anonymous email service like hotmail or gmail. All community members are expected to maintain a respectful and polite dialogue within the community. Debating about ideas is welcomed and encouraged. Personal attacks are out of bounds. Community members are warned to avoid profanity and debasement of any kind. In no case will the Chesapeake Network tolerate harassment or commercial solicitation of its members in any form. Seeking members’ support or opposition on matters of policy is allowed. This includes bills and other pending actions from legislative and executive branches, as well as ballot measures such as bonds and referenda. Asking members to support or oppose the campaigns of individuals seeking elected office is forbidden. While promoting a cause or event related to the mission of Chesapeake Network is encouraged, promoting an organization, person, electoral campaign, or product is forbidden. Sharing a web link is permitted only in the context of helping to provide resources or information for community members; sharing a web link solely for the promotion of a website or other web presence is forbidden. The information, tools, and resources provided to Chesapeake Network members are for the sole purpose of advancing the Chesapeake Network mission, as stated in the Mission Statement. Usage of any component of the Chesapeake Network for profit or private gain is strictly forbidden. The above includes contact and organizational information available to Chesapeake Network members. Any questions about the Chesapeake Network Community Protocols should be directed to the Network Administrator. If any user has any doubt about whether they are acting within the Chesapeake Network protocols, it is that user’s sole responsibility to seek clarification and direction from the Network Administrator and not to proceed until that communication is complete. To report a violation of the Chesapeake Network protocols, contact the Network Administrator by e-mail, stating the exact nature of the violation and the concerned parties. The Network Administrator can and will apply the following corrective measures as the Network Administrator deems appropriate. For minor violations, this is an escalating scale, but the Network Administrator has the authority to apply any degree of measure in any combination at any time, up to and including immediate suspension and/or expulsion from the Chesapeake Network. The Network Administrator will warn the user that he or she has violated the protocol and that escalating corrective measures will be applied if the violation recurs. The user’s activity will be held in a monitoring queue pending the Network Administrator ‘s approval until the Network Administrator determines otherwise. A written appeals process will be established for the Network Administrator ‘s decisions. The appeal body will be the Advisory Committee. The appeals process and protocols will be established in writing pending further communications with the Advisory Committee. If any person, in the context of the Network or otherwise, commits libel or slander, or breaks the law in any other way, the sponsors and administrators of the Network are not responsible. If any person harasses a user, in the context of the Network or otherwise, the sponsors and administrators of the Network are not responsible. 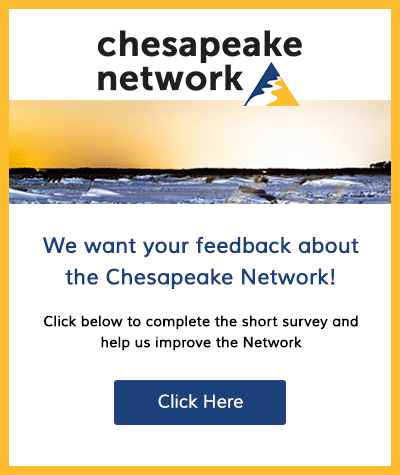 The Chesapeake Network is not responsible for any inconveniences or other problems that users may incur due to network technical problems or changes in tool availability and/or protocols.